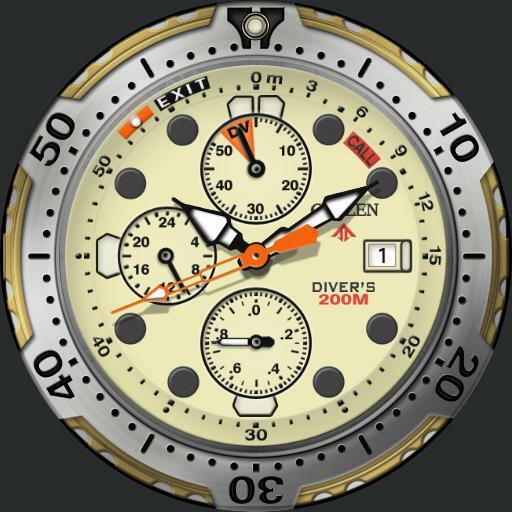 Tap between 1 and 2 area to rotate and reset bezel. Tap center to zoom and remove bezel. Tap between 10 and 11 area to cycle dim modes, Auto Always, Off, On Normal, and Always On. Default is On Normal. Tap 3 area to cycle function modes.1= Time Mode default This mode is the default mode and the function hand is battery level.2 = Chrono Mode. In Chrono mode the large function hand is Chrono seconds. Tap top sub dial to start/stop Chronograph. Tap bottom sub dial to reset Chronograph. Left sub dial is multi mode 24 hour dial. Tap 9 area to cycle modes, local, Extra TZ 1, 2 or 3. Once done in Chrono Mode be sure to tap 3 area to return to time mode.